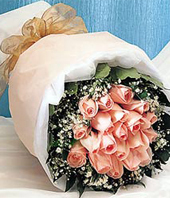 33 stems pink roses hand bouquet, with gypsophila and green stuff, beige paper wrapped. 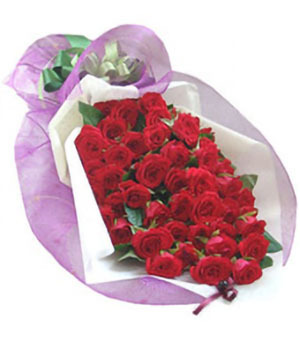 repeatedly good service! 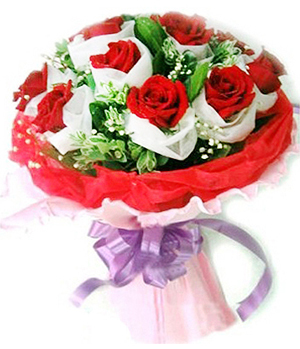 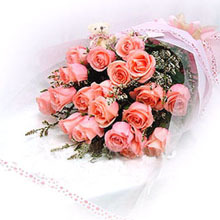 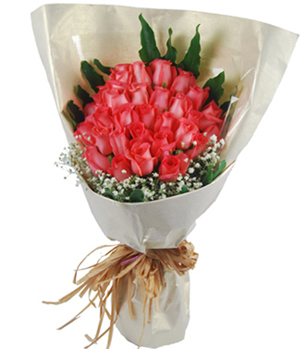 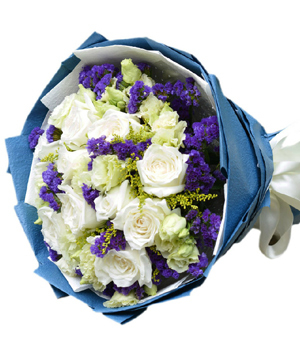 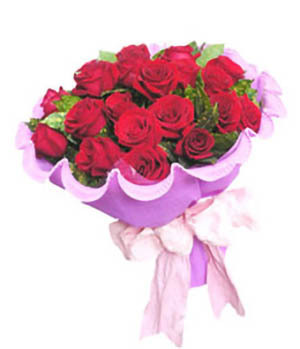 ; flowers are top quality, and delivery very prompt; thanks.